Cloud-based transportation management solutions to help businesses save time and money. 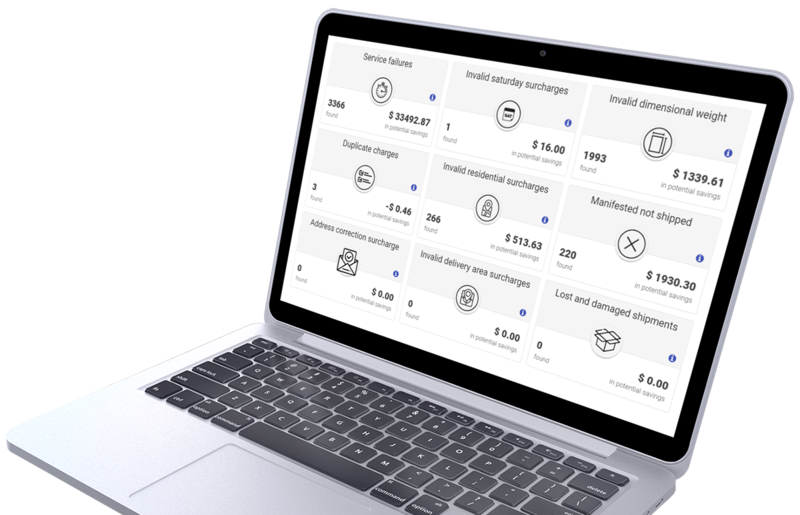 Instantly uncover potential refunds on recent FedEx, UPS and DHL shipping invoices – Get results in just 30 minutes! GTMS is spearheading paradigm-changing technology innovations to help shippers streamline costs, increase efficiency and enhance visibility throughout the entire logistics process. GTMS’s best in class transportation management system provides multi-modal rating and routing, carrier notification, advance ship notification, cost plus modeling and more at your fingertips with their desktop solution. Automate your carrier auditing, invoicing, and payment process with GTMS’s proprietary GL Coding system. Maximize shipment visibility across all modes of transportation with GTMS’s Shipper Tracker tools. GTMS’s consulting services team is built for businesses that want to immediately reduce transportation costs, streamline operational workflows and increase visibility into carrier networks. GTMS offers customized solutions to streamline costs, increase efficiency, and enhance visibility through the entire logistics process. Our tools are specifically designed to allow you to manage your logistics services more effectively by determining precisely your best practices for all transportation modes and carriers.